Is California’s Net Metering 2.0 a Solar Tax Risk? Solar groups say utility proposals could break down the wall between rooftop solar and the IRS. Everyone agrees that net-metered rooftop solar doesn’t pay income tax. But nobody really knows how Uncle Sam will treat feed-in tariffs, wholesale export compensation, and other arrangements that California’s utilities are suggesting to replace the state’s net metering regime -- and that’s a risk exposure the industry shouldn’t have to bear. Solar groups have asked the California Public Utilities Commission to consider this argument as it mulls the biggest changes to state solar policy in over a decade. Under AB 327, the CPUC has until the end of 2015 to create a successor “NEM 2.0” tariff that balances solar, utility and non-solar customers’ needs, and will apply to all new customers starting as early as next year. The NEM 2.0 proceeding has pitted utilities, whose proposals would roughly halve the per-kilowatt-hour rates that customers are paid for their net-exported solar, against solar and environmental advocates, who have argued in favor of keeping net metering the way it is. Utility proposals would also impose fixed or per-kilowatt-hour charges, and impose other restrictions that chafe solar advocates. 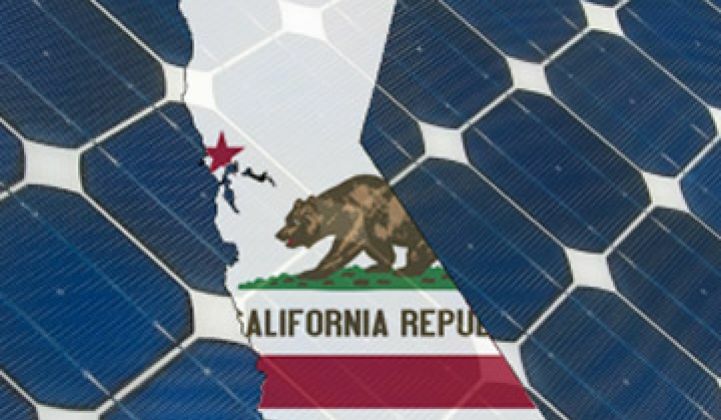 But what’s more troubling, in terms of tax status, are the ideas that would separate solar generation from household energy consumption, according to CPUC comments filed this week by the Solar Energy Industries Association, The Alliance for Solar Choice, and the California Solar Energy Industries Association. That could be the upshot of some utility NEM 2.0 proposals, which either call for pricing net-metered solar power through wholesale grid prices, or even metering and paying directly for generation -- in other words, a feed-in tariff. That could expose solar-equipped homeowners to “meaningful risk of adverse federal income tax consequences,” which "will create additional uncertainty in the customer’s value proposition, which is not adequately addressed in any of the proposals,” the groups wrote. The in-depth legal argument comes in Appendix C, from Ed Kleinbard, USC law school professor and former chief of staff of Congress's Joint Committee on Taxation. It all starts with the Federal Energy Regulatory Commission’s 2001 ruling in the MidAmerican Energy Company case, which relieved net-metered utility customers from having to account for the financial benefits they accrue from the transaction. In simple terms, “Where there is no net sale over the applicable billing period to the local load-serving utility, there is no sale,” FERC said in a 2009 ruling. But some of the utility alternative proposals would break apart this “single indivisible contract for the net consumption of electric power for personal use,” Kleinbard wrote, and replace it with two transactions -- “a sale of electric power to the utility (whether at retail or avoided cost rates), giving rise to gross income for the retail ratepayer, and a simultaneous nondeductible purchase of electric power for personal use.” Once that happens, home solar “should be treated no differently than energy generated by a commercially operated “qualifying small power production facility,” subject to the same taxation on income that power plant operators are. It’s hard to tell just how this scenario might play out on the distributed solar scale. Today’s feed-in tariff programs “are designed for utility-scale projects, and every cent of those profits are taxed,” Rob Harris, director of public policy at Sunrun, said in a Thursday interview. But very few residential-level feed-in tariff programs exist in the United States today. Even so, one of the few that does, overseen by Hawaii’s Kauai Island Utility Cooperative, has already seen a bit of local controversy over the tax issue, he noted. In July, KIUC started filling out 1099 forms for the checks it’s been sending solar-equipped customers under its Schedule Q program, which allows customers to be credited for exporting excess energy for their month’s avoided-cost rate. That move came after the state’s Department of Taxation wrote a stern email demanding the data, although it’s not yet clear how it will be treated. Similar issues could arise in California, Harris said. “It seems like few people have good arguments for why it is not a taxable transaction, once you start looking at more of a wholesale-market environment,” he said. The CPUC could require utilities to indemnify customers against tax exposure to this kind of tax risk, Harris noted, as is done without question in today’s NEM contracts. But that just shifts the uncertainty to the utilities. There’s a lot of uncertainty involved in making this argument, to be sure, including the contention that utilities have proposed anything like a feed-in tariff. That’s not strictly true of Pacific Gas & Electric's and Southern California Edison’s proposals, which would credit customers through some variant of wholesale cost and value, but don’t specify how that would be calculated. San Diego Gas & Electric, by contrast, has suggested two options: a default unbundled rate that would pay “a wholesale rate for energy exported by the customer-generator,” or a “Sun Credits Option” that would buy and separately meter all of a customer’s solar power for grid delivery -- a feed-in tariff in structure, if not in name.